By late 1944 the Allies were poised to smash the Siegfried Line and break into Germany. Supply lines were shorter thanks to the port of Antwerp. Arnhem aside, there had been a long run of victories and there was no intelligence even from ULTRA to suggest a German counter-offensive. So the major December attack through the mountainous Ardennes by massed Panzers and infantry took the Allies totally by surprise. Fog and low cloud negated the Allies' air supremacy, English-speaking German commandos in captured jeeps created panic and withdrawal of US forces became a near rout with morale all but broken. For ten days the situation worsened and Antwerp was seriously threatened and 21st Army Group in danger of being cut off. Clear skies for the Thunderbolts and coherent counter-attacks by rapidly deployed reinforcements turned the tide in the nick of time, so preventing a catastrophic defeat for the Allies. 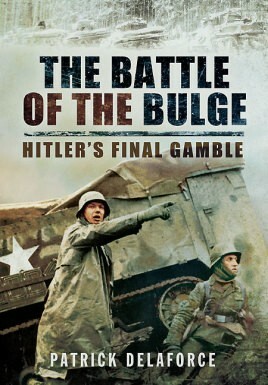 All this and more is graphically narrated in this fine study of a pivotal battle, that so nearly changed the course of war.